Cherry Blanket Chest With Wenge Details. 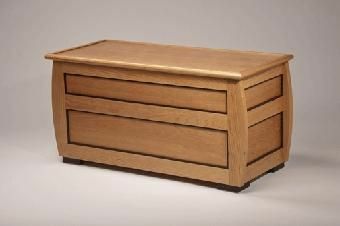 This is a cherry blanket chest constructed with both soild wood framing and veneered panels with wenge details to add a nice contrast. This was a commissioned piece but I can replicate it to suit your specific size needs. I can also use any species of wood you desire. Dimensions: Dimensions are 37.5" wide by 17" deep by 18" high.